Norris, St-Onge: All other teams parking is first come first serve basis. 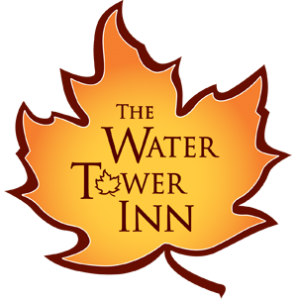 7:00PM – 10:00PM Sign in for Pit passes at the host hotel Water Tower Inn. 7:15AM – 7:45AM – 120cc Practice on the main track supervised by parents. 8:00AM – 8:15AM – Mandatory drivers meeting for all Sport & Specialty class racers. 8:20AM – 9:00AM – Practice all classes except (120s, Pro, Pro-Lite.). 9:00AM – 12:00PM – 120cc, Sport 1, Sport 450 Snow Bike and Specialty class racing. 12:00PM – 12:20PM – Pro Practice exclusively for Pro, Pro-Lite and Pro Snow Bikes. 12:30PM – 1:20PM – Sport 1, Sport 450 Snow Bike, 120cc Champ, Selected Specialty class Finals. 1:00PM – 1:20PM – Pro Autograph Session. 1:20PM – 1:50PM – Podium awards, Track Groom & Lunch break. 1:50PM – 2:00PM – Pro Intros. – Pro, Sport 2, Pro-Lite, Track Groom, Novice 200cc Final. – Pro Snow Bike, Sport 2 600, Pro-Lite, & Pro Finals and podium awards. 8:00AM – 8:20AM – 120cc Practice on the main track supervised by parents. – Pro Snow Bike, Sport 2 600, Pro-Lite, & Pro Finals and awards on the podium. Racers are required to register in advance on or before midnight Monday January 7. Admission for racers is Free with entry, Crew Member admission is $25 and includes a Pit Pass. View all our Marketing Partners ! The CSRA was created to help sponsors, manufacturers, and racers benefit from the rapidly expanding sport of professional snowmobile racing. The mission of the CSRA is to bring the sport of snowmobile racing to its highest level. The CSRA strives to bring sponsors, racers, manufacturers, and racing fans the most organized, visible circuit in the industry. About Rockstar Energy Drink: Rockstar Energy Drink is designed for those who lead active lifestyles – from Athletes to Rockstars. Available in over 20 flavors at convenience and grocery outlets in over 30 countries, Rockstar supports the active Rockstar lifestyle across the globe through Action Sports, Motorsports, and Live Music.